Let’s be honest: Advent can be a hard sell. While Christmas starts appearing in September, often in glaring, gaudy ways, Advent comes on padded feet with very little fanfare. 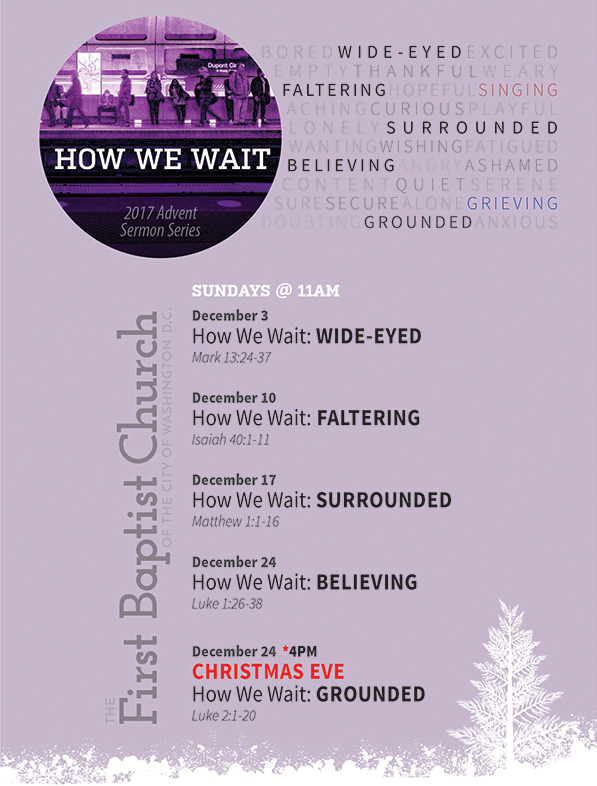 Advent is about waiting. It’s about reflection and repentance and delayed gratification—things with which we tend to struggle. And yet, Advent has a gift it wants to give, which our souls desperately need. Advent, if observed with intentionality and an open heart, helps us to resist some of the Christmas craziness out there. Advent offers the simple joy of preparing our hearts and minds for Christ. In this holy season, our chief assignment is to watch and wait and worship. Doesn’t that sound like something of a relief? Join us!